Spray Point Station was established on 1 April 1914, when ‘Section 43 Hillersden subdivision’ was balloted in the Blenheim Town Hall (5 March). Sheep were driven from Marlborough to Canterbury through the new station, and the Cob Quarters was built as accommodation for shearers and musterers. In 2004 the property was purchased by the Mapps, with an eye to developing a multi-platform station to carry Spray Point Station into the future. Today the station’s activities include environmental conservation, carbon farming, horse breeding, cattle raising, walking tracks, tourism and of course, nearly a century later you will still see that iconic kiwi vista of sheep dotting the high country. ‘The Muster’ has always been a feature of New Zealand sheep farming. 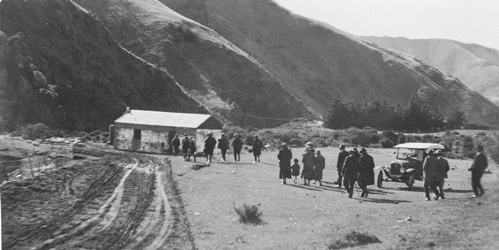 Sheep were mustered from the high country and regularly driven from all over Marlborough, through Spray Point, and on to Canterbury for sale. Today the muster (and sheep dog trials to demonstrate the musterer’s skill) are important features on rural calendars. However in the 1920s and 1930s, being a musterer was a way of life. Ninety-three year old Lionel Winstanley was one of these men, working the muster in the Waihopai and at Spray Point. 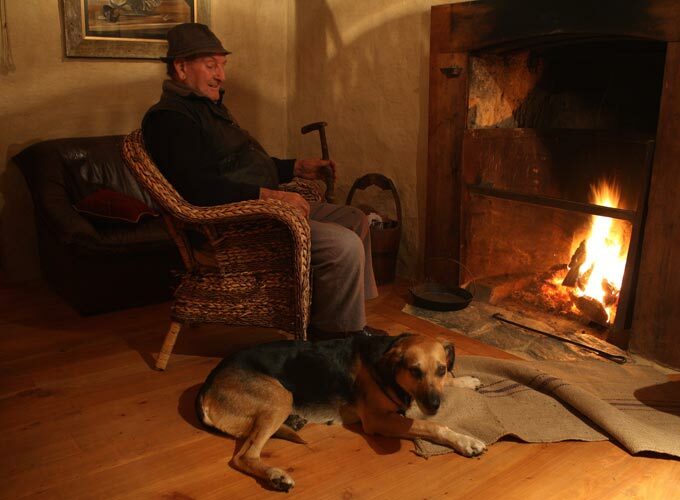 His recollections help provide colour to the history of Cob Quarters, and a copy of this book, Hobnails, Hounds & Humour is available to read in the cottage. Cob cottages were once a common sight throughout New Zealand. Sadly however their construction and materials means that most of these cottages are no longer standing. 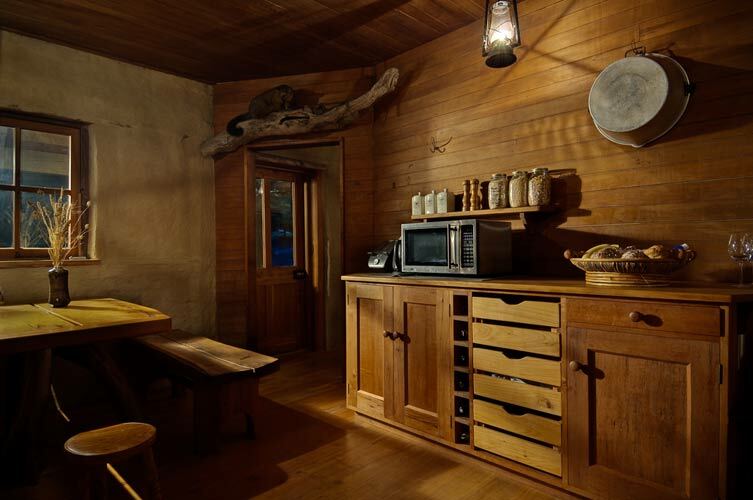 The restoration of Off the Mapp's Cob Quarters was a labour of love over two years, with help from friends, family, and a range of passionate experts. In 2006 restoration began, with the key structural work a priority. Traditional methods of cob building were used to patch holes in the walls, and more holes were created. A window was cut out to become a door and the existing windows were strengthened and framed. The bathroom flooring was replaced with clay floor coated with boiled linseed oil. Internal flooring was replaced with timber, and the original timber internal walls and ceiling were also restored to their former glory. 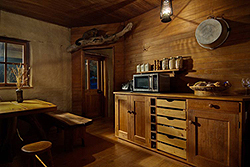 The charm and history of the cottage shines through in the care and attention to detail in every line and feature. Highlights include the beautiful use of timber, each piece with a history of its own. Western red cedar, beech, Australian hardwood, matai, and manuka recycled through generation all feature. Window frames, beds, doors, picture frames, bathroom and kitchen joinery and the wonderful dining table and benches were all custom made for the cottage. The Mapp's passion for the old and unusual adds originality and character. The deer antler bedside lamp with the possum skin lightshade, old logging chain used to create downpipes, towel racks from what was once a swingle-tree from a horse harness, and wooden wash tubs belonging to Jenny's great-grandmother in-law all give a new home to mementoes of our history. 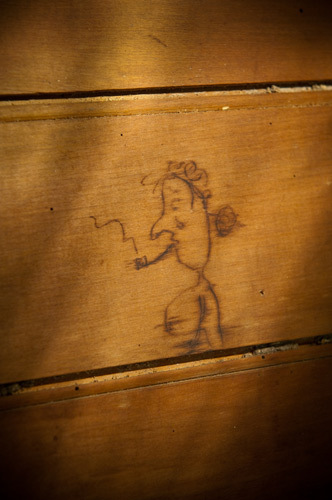 Some of the history of Cob Quarters can be traced through its graffiti. 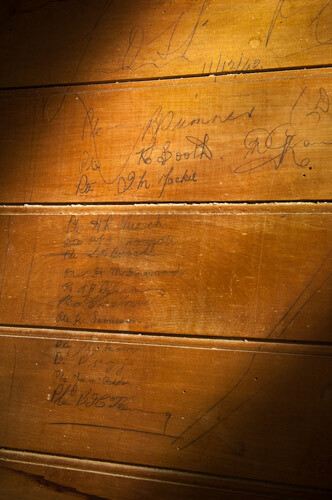 Most of what has been found around the walls is small and written in pencil, and like stars in the sky, the harder you look the more names you find. accommodation @ Off the Mapp. Off the Mapp is owned, managed and loved by Jenny Mapp, with the ‘help’ of her children, Ben and Sarah. 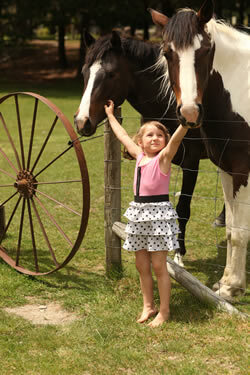 Off the Mapp is based at Spray Point Station on the Spray River in the Waihopai Valley. Established in the 1900s as a high country sheep station, Spray Point Station has always reflected the lives of the people who live there. Today the station displays Jenny own passions for the environment, restoration and rural history. She brings to the station a wealth of experience from farming and forestry to environmental protection, as well as the perspective gained from wide-ranging travel. Your Off the Mapp holiday is an opportunity to experience a simpler, traditional New Zealand lifestyle where relaxation and fun are emphasized. This is combined with the potential to protect and enhance this unique unspoiled environment for future generations to enjoy, and to allow guests the opportunity to contribute to this work. Jenny welcomes you to Off the Mapp, knowing that you too will find inspiration and rejuvenation in this beautiful corner of New Zealand. Phone: +64 3 572 4222 Email: ~ Contact Us ~ Check availability.